The articles on this page will give you an overview of the philosophy in under an hour of reading. These ancient symbols at the top of the page tell the story of human evolution in two parts. The top element, the radiant AUM! represents the creative power of the Universal Mind, which although eternal and unchanging in its essence its other lower elements actively and periodically emanate what over time aggregates as nebulous matter on the lower planes, forming eventually Suns and planets, men and animals, down to the smallest flora and conscious microscopic life. This is the metaphysical “Doctrine of Emanations” spoken of in the Secret Doctrine. The second part, the Winged Soul, comes as a result of these emanations having taken life, form and consciousness. They become at length and over vast periods of time a new humanity, which are in a higher reality the always-journeying and incarnating Souls. These Souls – who are ourselves – live on, from one era to another, in an almost endless series of lives. So we find ourselves on this collective pilgrimage on earth being helped, as far as we accept it, by the older and wiser ones who have gone before us. Of these, some have become “the gods, heroes and saviours” we read about in our history and mythos. They are the well-known sages, the “Mahatmas” (lit. great souls) who have fulfilled their destiny and consciously made their own link to the Mind in Nature, the Anima Mundi, and – so long as they do not go against the purposes of evolution – become a beneficent, guiding force for the good of mankind. Snakes have dual symbology, the two either side of the globe are the “rearing cobras” of ancient Egypt, the snakes of Uraei, a symbol of sovereignty, royalty, wisdom and divine authority which guide and instruct the Soul on its journey. Snakes are also used in the East, for instance by the Buddhists in their Naga-serpents or wise men, but esoterically they are the Lodge of Adepts and Initiates, also called nâgas, “the Serpents of Wisdom”, Nagal being “the name in Mexico of the chief medicine men to this day, and was that of the chief adepts in the twilight of history.” (Theosophical Glossary entry ‘Kauravya’). Of their second meaning, it was in the later Christian times they began to only represent lower, physical energies, therefore becoming an apparent ‘evil.’ But Theosophy teaches the true origin of goodness, or its absence, in the world is almost wholly due to man’s intent and heart; it does not come from these forces themselves which, like electricity, operate automatically and according to law and have little inherent tendency for good or ill. This is well described in articles by H. P. Blavatsky such as The Origin of Evil. The radiant AUM! above was used by William Q. Judge as the symbol for his Path magazine in the 1890s; the Winged Soul or globe by his pupil and friend Robert Crosbie in his magazine Theosophy, which ran from 1912. Where did Theosophy come from? Having read these articles you can continue your exploration by reading “An Epitome of Theosophy” by William Q Judge, which – although only 30 pages long – is still widely regarded as one of the most accessible overviews of the Wisdom Tradition for new enquirers. 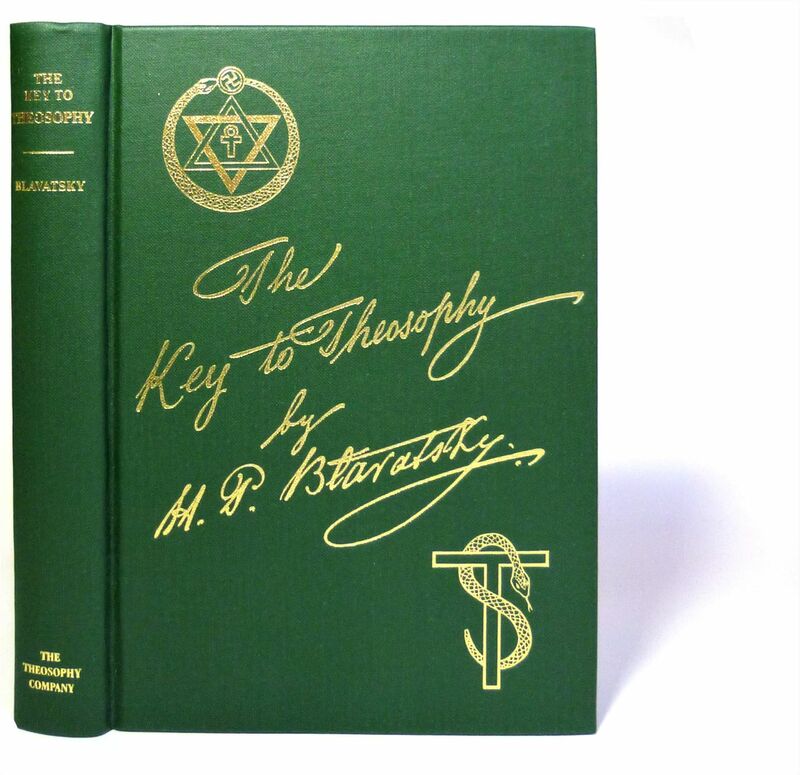 After the Epitome, two books are recommended, the Key to Theosophy and the Ocean of Theosophy. 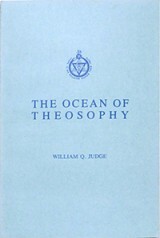 The Ocean is the “The Secret Doctrine” in miniature, an outline of Theosophy’s main ideas but in a short and very accessible form. Hardback and paperback copies can be purchased by email see the ‘Library’ page and Price List. The above course gives a wide ranging introduction that mainly concerns the intellectual aspects, the Movement’s raison d’être, its history over many millennia, and its philosophy and altruistic aims. The study method that the ULT follows is to balance the intellectual approach of head learning with its complementary aspect, the ‘Heart Doctrine.’ The development of of head and heart or rational thought and intuition with a sense of responsibility, is the first step in practical altruism. Another is Light on the Path, all of which will appeal to “the inner faculties rather than to the ordinary comprehension of the physical brain” as Mme Blavatsky wrote. It is only when the reader’s intuition and higher faculties of reason are engaged that they are able fathom allegory and metaphor. ULT meetings are generally started with a 5 minute reading from one of these books so as to strike notes of universality, dispassion, and skill in action. * Do not be discouraged by the Indian names at the start of the Gita, the majority of these characters appear only in the first chapters. William Judge’s introduction is clear and insightful and will give what’s needed. Remembering also that its story is allegorical, these characters become symbols for the complex aspects of our mind and personality. For example, all the events that Arjuna and his four brothers, the Pandu Princes, are taken through are emblems for the journey of discovery which are common if not identical to every seeker. The pilgrimages of old times were similar analogues for an inner journeying through new lands (“states of evolutionary consciousness” in modern terms) leading to fresh visions and world views. Man is principally a mind-being whose outer physical landscape becomes on close inspection increasingly a metaphor for his inner state, which can – whether quickly or slowly according to our nature – largely come to rule our outer conditions. The Notes on the Gita by W. Q. Judge and Robert Crosbie has been written to show how to read between the lines and decode the Gita’s layers of meanings, so its commentaries are especially helpful for Western students. As Esoteric Psychology – primarily a knowledge of our inner life and being – is studied, its significance becomes self-evident, and most importantly in the Kali Yug (famed for illusionary appearances) it is made reliable by being checked against the experiences of other well-regarded sources). It then quietly speaks with wordless but resounding meaning of a reformation that asks us to harmonise our outer nature to our true and ultimately divine, innermost nature, the place of safety and a pure, impersonal divinity. The promise that is made is that all this is seen from a reading of both head and heart texts when studied together and rightly interpreted.